Sawyer Cooke was born in Louisburg, Kansas and now live in Gretna, Nebraska. 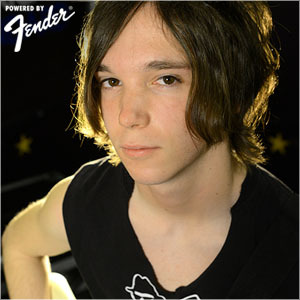 Swayer picked up the guitar at age 13 after seeing a praise band play at a camp he went to. It was the first time sawyer really got to see live music with guitars up close and Sawyer just knew he had to be up there doing it. So Sawyer went home and bought a cheap little $30 acoustic and has been in love with playing ever since. 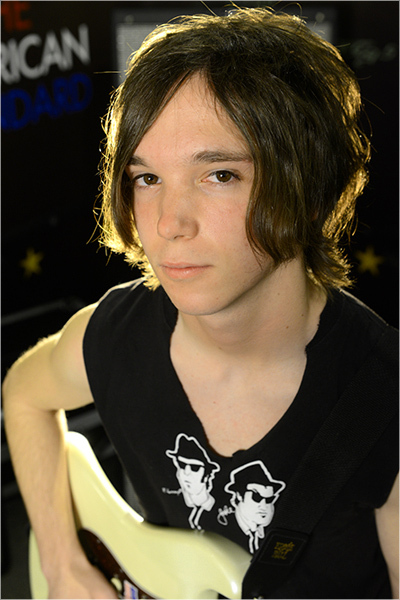 Sawuers main influences are Tyler Bryant & the Shakedown, Tom Petty & the Heartbreakers, Drake Bell, and Kris Lager Band. Sawyer became interested in Fender a few years back after discovering TB, and got his first Strat this year.